Rock Bakken wanted his next work to be big, bold and bright, and to bring honor to God. He ended up painting in an abstract style, which was not normal for him. The image is of a Cross. As the conversation about the churches working together was proceeding, Rock began to place some meaning into this picture. Each church is represented by one of the colors. Where the churches overlap in faith and practice, the primary colors blend to make secondary colors. At the center of the Cross, represented by a darker color, are those things which all churches share, the Creed. Rock shared this meaning in one of the meetings with Father Vasek as discussions were moving forward as to how the churches could work together. In light of the arrangements made, where Trinity, Saint Patrick, and Holy Rosary made changes to their service times to allow Father Vasek to assist at Trinity, the members of Trinity wanted to give a gift of thanksgiving and gratitude to the parishioners of Saint Patrick and Holy Rosary. 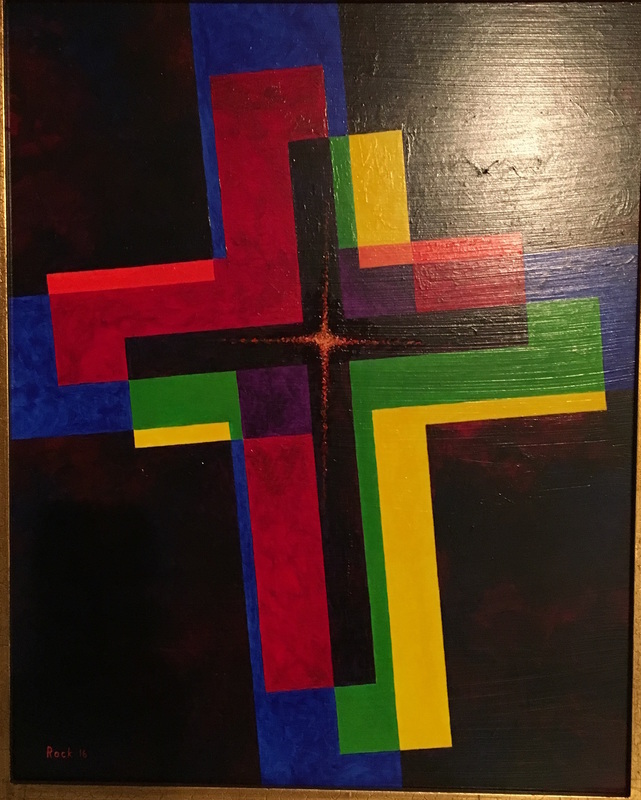 This first Cross painting was given as a gift to the parishioners of Saint Patrick on September 18th, 2016. Rock decided to paint a second Cross, this time to communicate the particular relationship which we are in as churches. The blue Cross represents Catholicism, the mother of all Christianity. It is the largest Cross, extending from the top to the bottom. The red Cross is Lutheranism, which is almost all within Catholicism, but with some aspects not fully inside, indicated by the orange coloration. The center dark Cross represents the center teachings which all Christians hold, such as the Apostles’ Creed and the Nicene Creed. This image shows us how much we truly hold in common, and how much we can do together if we open ourselves to working together. 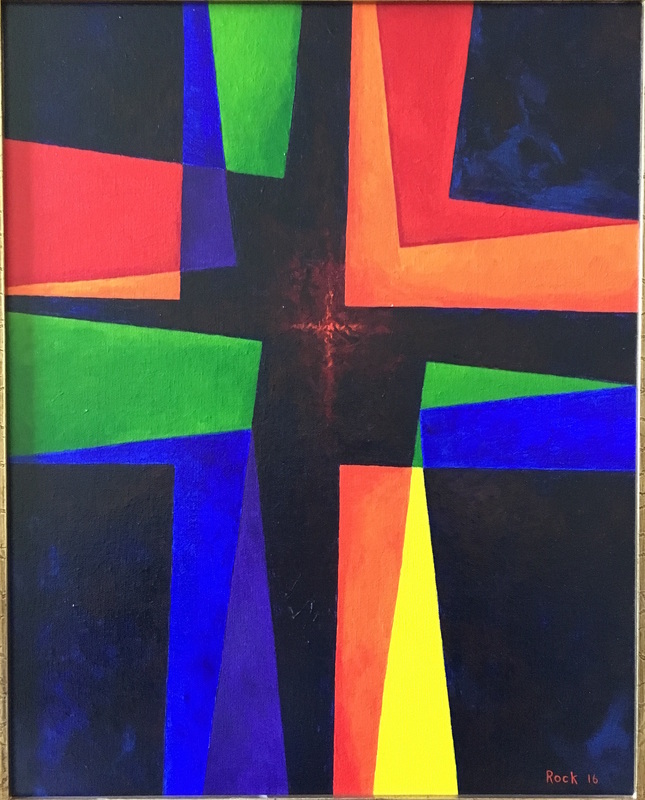 This second Cross painting was presented to the parishioners of Holy Rosary on September 18th, 2016. Jesus prayed “that they may all be one; even as you, Father, are in me, and I in you, that they also may be in us, so that the world may believe that you have sent me” (John 17:20-21). We pray for an increase in the visible unity of the Body of Christ.